I carry mine covered key in a padded box, with a plastic bag around it. Proximity sensor still works just fine that way. Did hand wash my car today. The soap seems to depress the freezing point a bit, as it's right at 32 outside. Reparking in the sun took care of it to finish the wash. Drying & warming up in front of the fire now. It's going to snow again mid week. But at least a few days of sparkle. & I just purchased one of the covers, as my original complaint- the fob is too slippery for me. No Longer! Welcome to the key fob in a silicone condom club! May our ranks grow and prosper!! I do like our MB key fob. I did want to make mine a little bit unique and when searching the Internets I also found the cheapo silicone option. But putting a rubber rubber on a $600 or more? Piece of car remote just seemed a little silly to me. 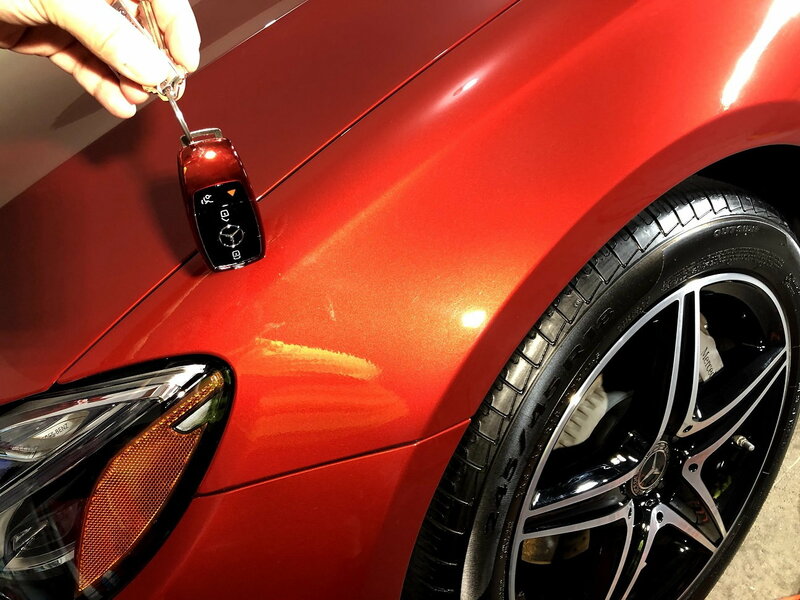 (kind of like those people who get a latest and greatest smartphone, shell out 1K+ and get a $4 case to protect it) I opted to go a little bit of a custom route and got a matching key fob to my paint code, it's even ceramic coated just like my exterior. Do you mind sharing where you got it and if they match all the colors on the E Class? My guess is he got it proffessionally painted. Much as I like it, I likely wouldn't go to that much trouble, but still very nice! Actually plenty of them on Amazon. Easy to find with a search. Painted, colored, Aluminum, silicone, whatever you want. Did a search and couldn't find any that are color coded to Mercedes paint. I can find blue. I can find red. I can find silver. But I could not find Lunar Blue as an example. It's not a big deal. My comment was in response to someone who suggested the fob being discussed might have been custom painted. I would not go to the trouble of having a fob custom painted to match the exterior of my car. HA! I thought he was being facetious. Suby..... is it indeed a custom paint and ceramic? You are nuts. Not quite lunar blue... close though. Last edited by jl199986; 02-03-2019 at 10:38 AM. Thank you! Pretty cool and I might just have to get one!! EDIT: Drat you, I ordered it!! Last edited by rbrylaw; 02-03-2019 at 01:08 PM. Perhaps I may remain victorious!! I like winning! Got the black one to go with my silver. I love the cover. 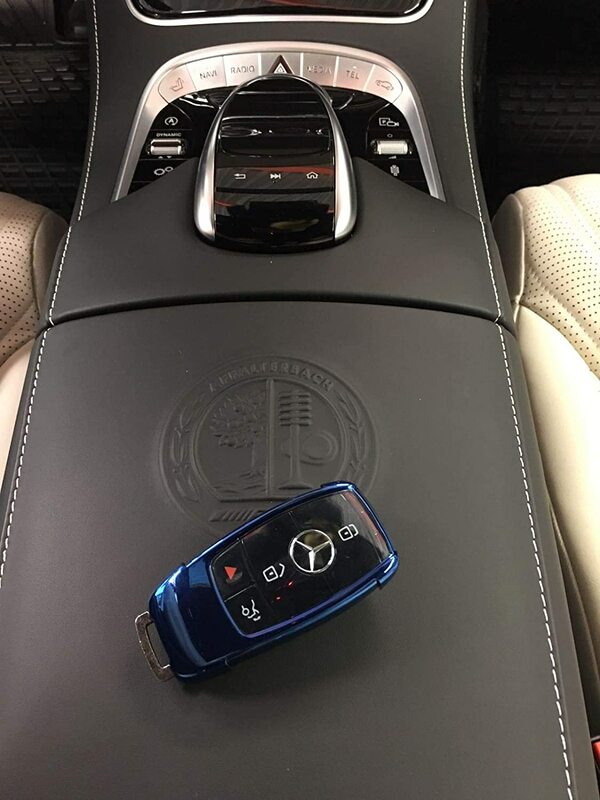 Now of course the question is how one accessorizes their key cover??!? Leather case? ...crystals????.... charm dangle?? Yeah, there are some crazy things out there. None of which will find there way to my car! I meant I ordered it in black. I'll take a photo when it arrives. It's made by Optix. They are only awful because they are fake diamonds.